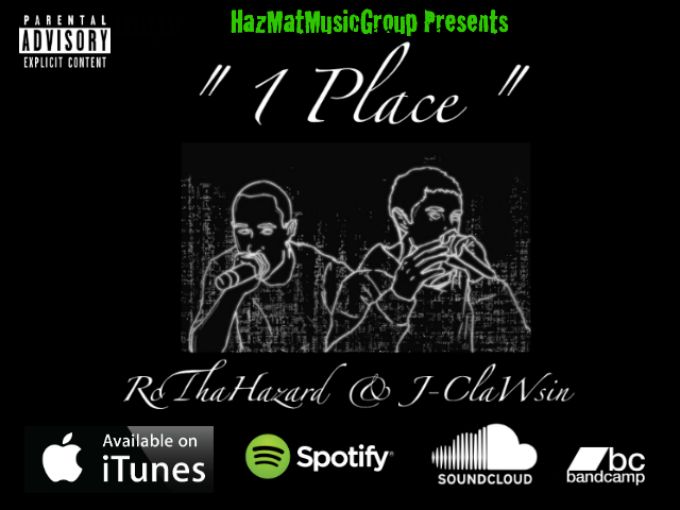 Home / RcThaHazard & J-ClaWsin of HazMatMusic - "1Place" / RcThaHazard & J-ClaWsin of HazMatMusic - "1Place"
RcThaHazard & J-ClaWsin of HazMatMusic - "1Place"
RcThaHazard & J-ClaWsin is a duo of HipHop artists from Surrey, BC, Canada, just outside of Vancouver. RcThaHazard & J-ClaWsin are both a part of the independent label, HazMatMusic. They both have a wide variety of different sounds and styles, depending on the track. They both can be goofy comedians, as well as passionate poets. Their new single "1Place", is available on iTunes, Spotify, Soundcloud, and more. The song is about feeling like you're stuck in one place with life, but still maintaining the will to work hard and move foward. "1Place" is the first single off of their upcoming duo album, "The 386 Tape"
anything related to rap, hiphop, spoken word poetry.